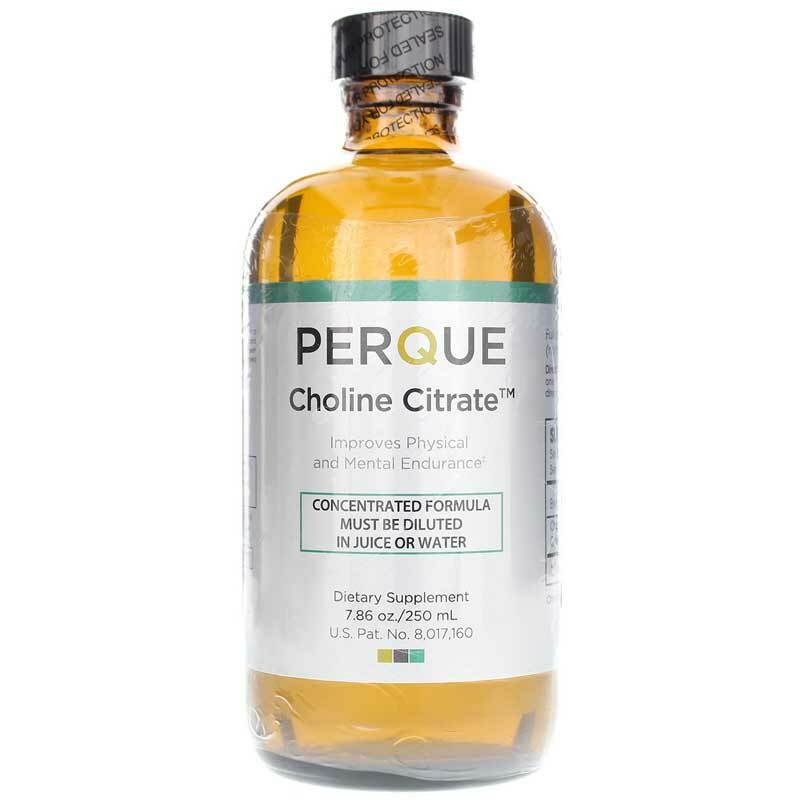 If you've been looking for an all-natural boost for your natural energy levels, Perque's Choline Citrate may be the ideal supplement for you. 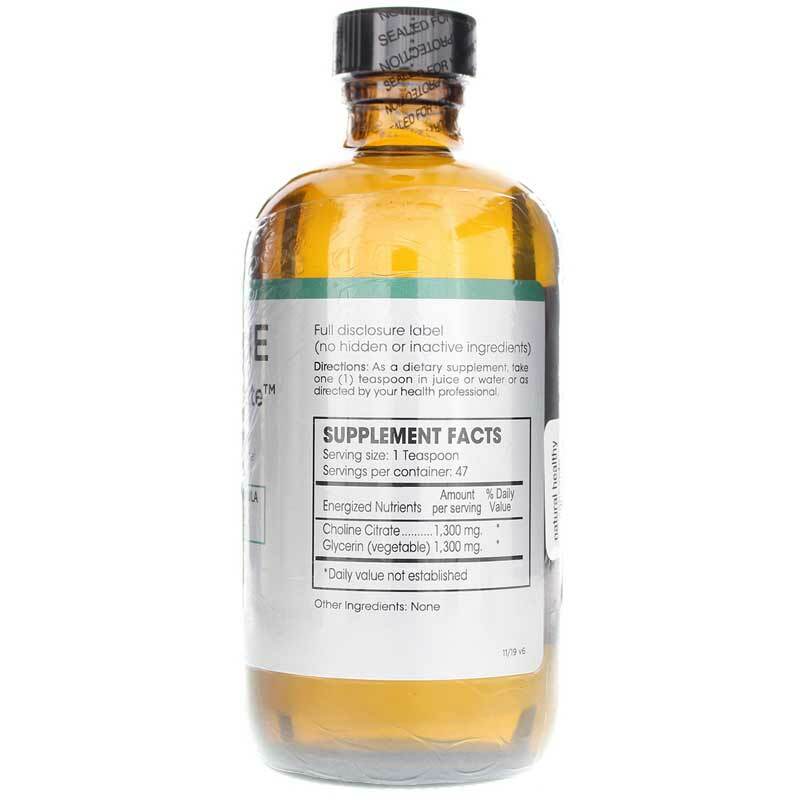 Choline helps to energize and alkalize your cells, and citrate helps activate the choline, giving you a healthy boost in energy, as well as offering other great health benefits. You won't find any of the most common food allergens on the ingredients, and Choline Citrate is always manufactured without the use of MSG, as well as GMO ingredients. It comes in a convenient liquid formula that must be added to water or your favorite juice. 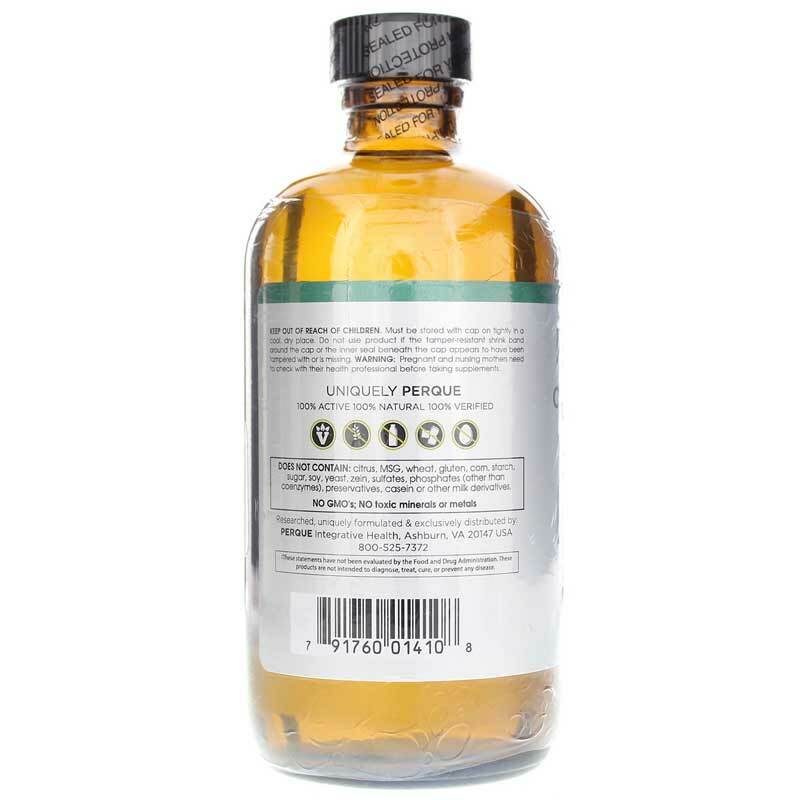 Choline Citrate from Perque supports a healthy body as well as a healthy mind. Give it a try today for healthier energy levels, enhance detoxification, and improved memory functions. Order yours now and see the difference it can make! Contains NO: citrus, MSG, wheat, gluten, corn, starch, sugar, wax, soy, yeast, zein, sulfate, phosphates (other than coenzymes), preservatives, casein or other milk derivatives. NO GMOs. Adults: As a dietary supplement, take one (1) teaspoon in juice or water or as directed by your health professional. Must be diluted in juice in water. Really boosts Mg uptake. Muscle knots GONE! One of the most effective supplement I have taken. Taking Mg alone wasn't as effective, but when my family added Choline citrate, muscle spasm, calf muscle cramps, shoulder/back muscle knots, and eye/facial twitching went away or going away! So I decreased my Mg dose by half and supplement it with choline. Choline is definitely facilitating maximal use of the Mg I take! I have tried multiple expensive supplements before but never noticed any drastic or even moderate result. With Perque, I have experienced "health makeover" with their products I have tried so far (Liva, Mg with Choline citrate, Zinc lozenges). I can't wait to try products for digestive health. Perque's focus on absorption and clean ingredients is what's making their product stand out from the competitors'.